"Cheese" isn't only a dairy product, it's also a smile; when you "schmab," you're burning rubber; and when you're "ghost," you're gone. These are just a couple of the coined phrases clever enough to earn their creators - students in Berkeley High's Communication Arts and Sciences (CAS) program - spots on the national news and Webster's approved list. The Berkeley High School Slang Dictionary contains a striking array of words the students of Berkeley High have identified as part of the cultural and linguistic fabric of spoken English. The words come from both the margins and the mainstream - African American, Chicano, Jewish, and sports culture, along with hip-hop, the church, the drug scene, and even movies. 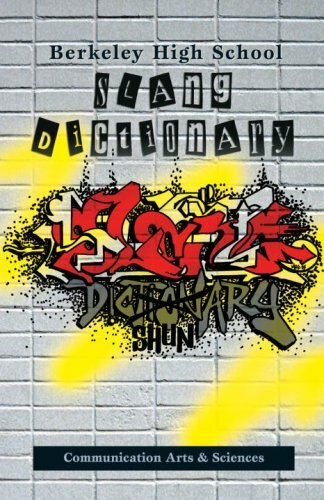 This book is more than a list of new slang terms; it's also an exciting look at how different cultures and communities reclaim their language in creative ways. Publisher North Atlantic Books, Frog Ltd.